The Carmelite way of life began in Palestine in the 12th Century on Mount Carmel. 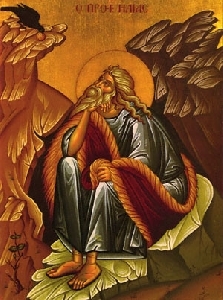 Our spiritual father St. Elijah lived a life of solitude on the mountain of Carmel which is revered as a holy place. The Carmelite Order began with a group of hermits who wished to lead a life like that of Elijah, the solitary one and the prototype of all hermits called to live a life of prayer. Early on, these hermits asked St. Albert of Jerusalem to give them a simple formula of life which became known as the Rule of St. Albert. Carmelites throughout the world still retain and live this rule. We walk in faith, hope, and love of God as did Mary and all the saints who have gone before us.